You could win $25 lottery tickets for orchestra seats. Jackie Burns as Elphaba, Wicked Emerald City Tour, Hobby Center for the Performing Arts. 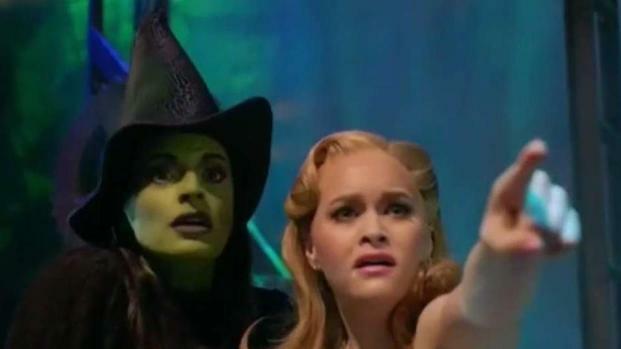 The hit musical "Wicked" is back in San Diego, and if you still don't have your ticket - don't worry! Broadway San Diego and "Wicked" are holding a lottery for a limited number of $25 orchestra seats. The Wicked Witch is coming to the west as the play hits San Diego on Halloween. NBC 7's Monica Dean sits down with Jackie Burns, the longest-running Elphaba on Broadway to learn more. The musical, based off the novel by Gregory Maguire, follows the story of the "Wicked" witch Elphaba and her bubbly friend Glinda the "Good" in the Land of Oz, years before Dorothy arrives. "Wicked" just celebrated 15 years on Broadway, too, with a special on NBC featuring special guests and original cast members. The in-person lottery starts two and a half hours before every performance. If you want to enter, you'll have to head to the San Diego Civic Theater's Ticket Office in Downtown San Diego. There, you can put your name in a lottery drum. Thirty minutes later, theater staffers will draw names. A limited number of winners will win $25 orchestra seats. You must pay for the tickets in cash. Each person can only win a limit of two tickets. Anyone who wants to enter must also have a valid photo ID when submitting the entry form and when purchasing tickets if you are selected as a winner. "Wicked" runs from Oct. 31 to Nov. 25 at the San Diego Civic Theater. To learn more, click here. If you'd like to buy tickets, click here.